Blue Seas Products (Pty) Ltd was established in 2005 by owner principal Richard Kramer, who is well known and respected, having been in the South African fishing industry since 1974. Surrounded by a self-standing, independent and highly engaged team, the company has been built from the ground up to where it is today. BSP believes in the transfer of skills and knowledge from one generation down to the next. As we continue to grow, we see a new competent, motivated and experienced team taking over the helm of BSP. All the while supported by a strong administration and logistically competent marketing and trading team on our shoreline. We place high value in building long-term relationships with suppliers and clients alike. We believe in loyalty, doing business to benefit all parties involved as well as applying high integrity and moral standards through our associations and the quality of our products. 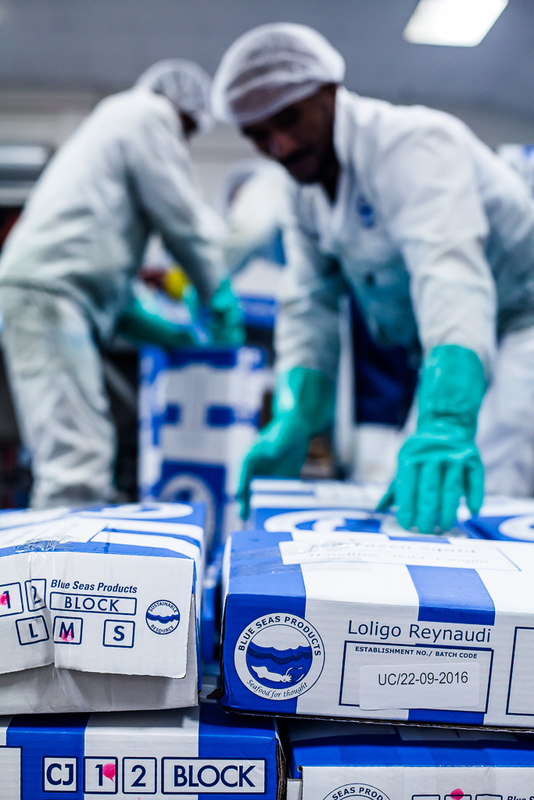 BSP owns a modern 1500 metric ton capacity cold storage and squid packing plant and is in a joint venture (JV) with a major sardine processing factory in Port Elizabeth, that packs high-quality sardine bait for International long-line fleets. We have strategically invested financial support through loan capital for upgrades and improvements to several of our JV vessels in the Squid, Sardine and Tuna sectors. We have access to EU approved freezing and cold store facilities at prominent ports in South Africa and Namibia. We also receive product in Port Louis, Mauritius; Montevideo, Uruguay and Kaohsiung, Taiwan. BSP’s administration, trading and marketing teams are based in Cape Town, South Africa with a representative office in Sasayama, Japan. Our main facilities and the majority of JV investments are based in PE, with one JV in Cape Town. All our operations are fully licensed, Dolphin Safe and Earth Island Institute compliant. Our facilities are NRCS, EU, PPECB and HACCP approved. BSP provides a service to local, international and independent fisherman, as well as emerging and empowered Small, Medium & Micro Enterprises [ SMME’s ] by using long-term experience in the fishing industry to finance and market seafood locally and internationally in an efficient, effective and user-friendly manner, to the benefit of all parties involved. BSP will continue to provide excellent service through further consolidation of its current position by strategically investing in local, BEE accredited, Southern African and international fishing industries.